"The paste is definitely helping my old dog"
"I was buying the golden paste from Amazon and through that found the actual golden paste co website and now subscribe to purchase regularly. My son has the turmeric golden paste every morning and I find it far more convenient than making my own." "Although my dog refuses to eat it point blank (starved herself for 3 days befor I gave in) mixing it in with tin of dog food and abit of gravey and she eats it. Have noticed a huge difference in my girl and not limping as bad as she was so would definitely recommend it. :) "
"I love how easy it is to feed , no mess,all the necessary ingredients to make it easy for horse to absorb. I am hoping it will help to keep my horses sarcoids under control,I’m on my second tub and they have not grown any larger ." "It seems to be fine. My dog is doing well after recovering from a ruptured cruciate and TPLO surgery. It is always delivery promptly once a month and the paste is easily administered via the pouch. My Golden Retriever has no problems eating it mixed in with her raw fed diet. " "Excellent service and I will most definitely be using you again and the paste has done my dog wonders, thankyou. " "So easy to use, no mess and perfectly constructed packaging "
"Fast delivery easy checkout "
"My dog loved the sausages so I ordered the new version with trepidation when the sausages became unavailable. However, she accepted the substitution without any problem. They really help with her arthritis now she is twelve." "Amazing will.def be buying again "
"Okay so far. Bit early to say anymore. " "Great product. Great service. " 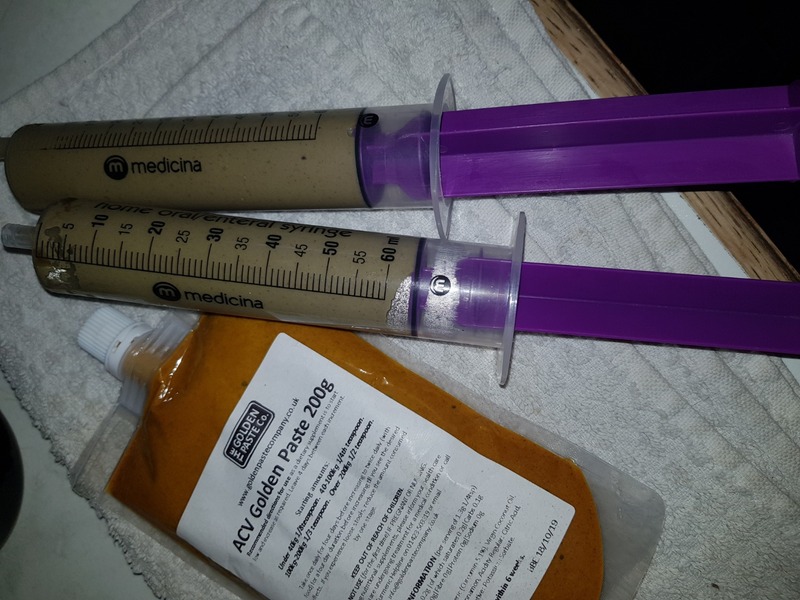 "My 11 year old Golden Retriever with arthritis has improved . Only taken for a few days. Really pleased with Golden Paste "
"This product is amazing. My spaniel has arthritis and was struggling to get up the stairs and on to the settee. 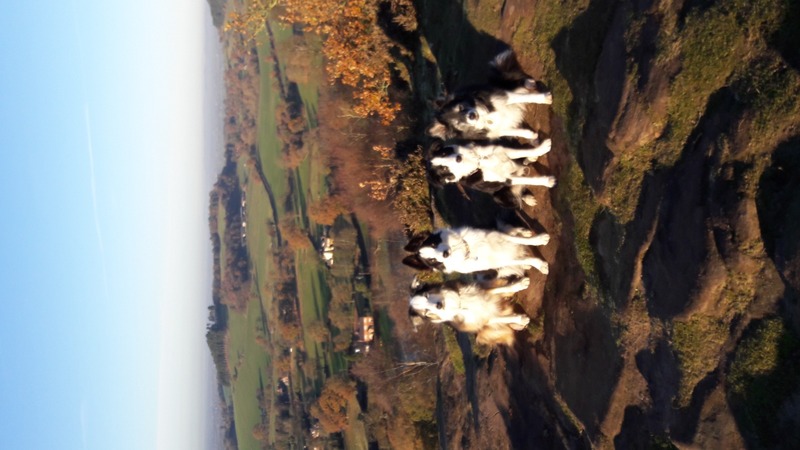 Being on this product has made him really lively again and he is back to enjoying going for a walk "
"Not received this however money was taken out on 9 Dec however I got a mould which I didn't order Regards "
"It is early days. This was recommended by a friend as her dog is doing well on it. So I am hoping my dog will benefit. Time will tell. No side effects so that is good and she eats it in her food no problem. So well pleased so far." "Been using this on my greyhound for a few weeks now, he is like a different dog. His energy levels are up and he’s a lot more mobile"
"Both dogs love it. The one barks until he has his rations twice daily at the same time. Highly recommended"
"I am always amazed at what a difference this makes to my arthritic horse - he's like a different person! He is also usually a very fussy eater but happily eats these, which are in an extremely easy form to dose and feed." "Good so far, I take them daily and trust they re doing me good, no complaints so far and my son says he is going to start taking them as well. " "Easy to navigate the website. Great product brilliant for my old dogs arthritis." "This turmeric paste works for me and my dogs. " 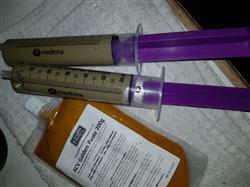 "Highly recommended made a massive difference to my dog "
"Easy to use, not noticed any difference in horses sarcoids just yet but will update when or if! Quick delivery!" "Very good, easy to order and use. " 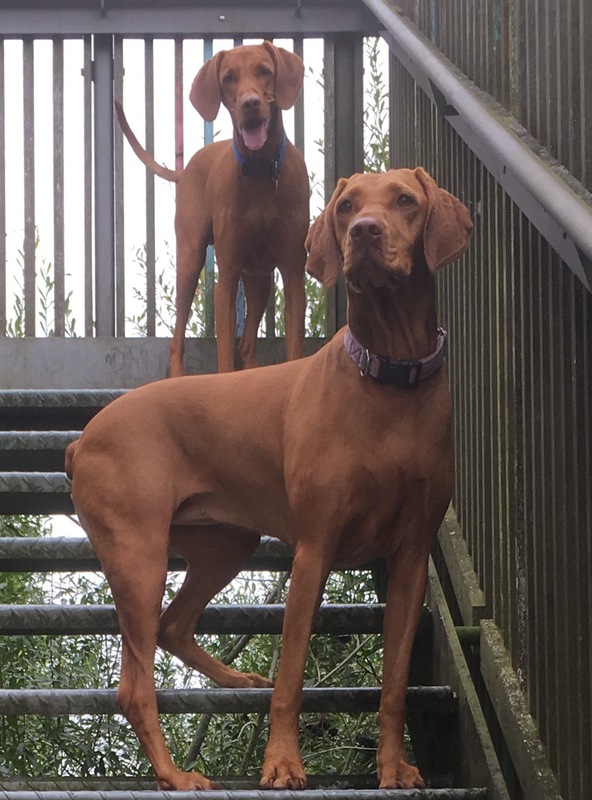 "Great stuff so convenient to use"
"Easy to follow site and delivery very prompt wold highly recommend this site"
"Hello I bought the paste for my Hungarian Vizsla who has been a bit lame. It was recommended by the lady where Olli goes to hydro. I know it’s early days but it seems to be working & with hydro as well all good. 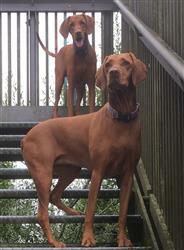 I’ve also started my other Vizsla Lola on it as well so am happy at the moment. With winter now here cold, wet & miserable I will definitely carry on. "